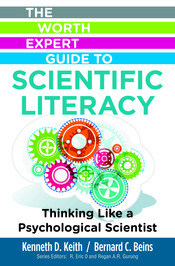 Accessible and engaging, and based on fundamental psychological principles, this brief book helps students foster solid habits of scientific thought, learning to apply an empirical attitude and data-driven decision making in their lives. With this increased level of scientific literacy, students will be better able to make sense of complex scientific information they encounter. They will also be able to see through pseudoscientific claims that are not only invalid but potentially harmful.